OK, I know that I have already posted a calendar page which you can view HERE. However, as I started adding more pages to my Home Management Binder, I noticed that the calendar page is the only one that is in landscape format while all of the other pages I have made are in portrait landscape. While this may not bother some of you, I found it irritating having to flip the entire binder around just to view my calendar. 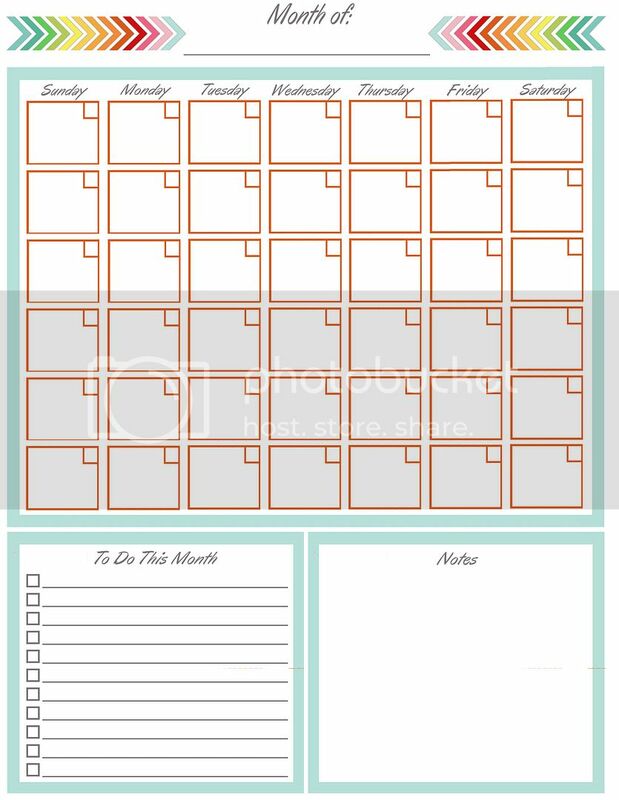 So for those of you who are like me and would rather have all of your pages facing the same direction, you can print out this calendar. I too see many printables that I would love to use..but can't seem to figure out how to download them. Do I have to join something. I just want to print those that I need, to save paper. And wish I could find them. The colors are fun, and makes it more enjoyable that just a plain piece of white paper for sure. Sheryl, just click the "DOWNLOAD" link located right below the photo. It will take you to another page. In the top right hand corner of that page you will see four little icons. Click on the icon that looks like a printer and it will bring up your print options. If you are still having trouble with it please send me an e-mail with the printables you would like to print and I'll send you the files directly. Your printouts have made my household binder a complete success. Thank you so much!